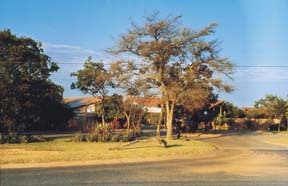 Delta Environmental Centre is situated in 104ha of tranquil parkland - which includes a bird sanctuary. This unique 'green' centre is dedicated to developing enviromental awareness and all funds generated are used to support enviromental programmes. Centrally situated in Johannesburg, 15 minutes from the CBD or Sandton. Delta Environmental Centre is a Day Conference Venue. Delta Environmental Centre, Delta Park, Road No 3, Victory Park.